This is for Lucy, who was lost to malignant histiocytosis in July 2003, a week short of her fifth birthday. The purpose of this article is to offer tips and suggestions on how to manage the treatment of a dog with cancer. As you know, the incidence of cancer in Flat Coated Retrievers is disturbingly high. This means many of us will have to face the challenges of seeking care and making treatment decisions for our beloved dogs when they are diagnosed with this awful disease. There are no right answers, and there is no treatment cookbook that can list steps to follow. This article only offers some observations and suggestions. All of the suggestions and recommendations are variations on two basic points: 1. Be informed, and 2. Be proactive. Do your homework, educate yourself as much as you can. Gather as much information as you can. If you have a computer and Internet connection you have a great advantage. If you do not, find a computer savvy friend. The Internet is a great source. However, it is not complete, necessarily up to date, or always accurate. You must consider the sources when giving credence to information. For example, how do you weigh anecdotal information from a posting or website of a dog owner compared to treatment recommendations based on clinical data? The answer is to consider it all and doubt it all. By the time clinical data are published they may be out of date. Anecdotal information that is not replicated (results that are consistent and repeated by systematic study) may be worthless. You should review findings that you consider interesting and notable with your caregiver. They do not know everything and have not seen everything, but they should be able to sort through it and help you make informed decisions. Click on “health information ” and scroll down to “questions to ask your vet.” This is all great information. There is a contact person listed at the bottom of the page. Contact them. Pick their brain and gather as much information as you can, then ask for referrals to others who may be able to offer suggestions and insights. Also from “health issues” page on the website click on the “health manual” and read the relevant pages. (We should all read this cover to cover before our dog gets sick). You should also check the AKC website: http://www.akc.org. From the main menu banner choose “Inside AKC” from there click on “Canine Health Foundation” then “Research and Education.” There is a great deal of useful information there including articles and white papers. You may also want to check “Sponsored Research – Grants by Disease” and “Sponsored Research – Grants by Breed” to see if there are any relevant clinical studies. If there are, you may want to speak to your veterinarian about the possibility of participation. Please note that there are many, many other useful sites. Also note that the websites and resources listed here are for informational purposes only. No endorsements are made or implied. The FCRSA Sharon Myers Clearinghouse is a fount of information. This was originally set up to record ALL types of health issues, yet incidences of cancer are the most highly reported. Many people are willing to share their experiences with others. For more info on the Sharon Myers Clearinghouse and cancer, contact Mary Jo Gallagher at mjgallag@southwind.net. Online discussion groups are also a great source of information. 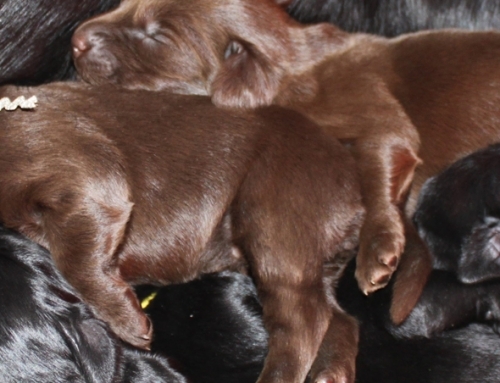 The main one for Flat Coats is: fcrlist@smartgroups. This is a private group, so you will need to be invited to join. To join you should send e-mail request to one of the list administrators, Rich@Dogsoldier.com. In your e-mail tell a bit about yourself, your interest in Flat Coats and why you want to join the list. This is a good resource and is recommended for all Flat Coat owners. Please note they have strict rules against buying or selling dogs and inquiries about breeders. Make a binder containing the information you find. You can print web pages directly although it is easy to cut and paste the relevant text into a word processing document. This will keep you binder more organized. On a Windows-based computer you can do this by highlighting the relevant text on your screen with your mouse (hold down the left mouse button and scroll over the text) then click the right mouse key and select copy, then paste the text into a word processing program. You can also cut and paste the web address into the document to make it easier to find again. Print out the pages and keep them in a binder for reference. If there are pages you want to share with your veterinarian print out an extra set. You can also keep your own notes and track dates in this notebook. One simple way to make sure you don’t miss anything your caregivers tell you is to bring a portable tape recorder when you meet with your veterinarian or veterinary oncologist. This is highly recommended. It allows you to concentrate on what is being said and not worry about remembering everything in the moment, and not have to take notes. It also allows you the opportunity to review the information after the fact. Be sure to ask for consent before you start taping. Ask a lot of questions. Do not be afraid to ask questions, especially clarifying questions. Ask your caregivers to explain things in layman’s terms until you understand. Find out as much as you can EARLY. Ask what the treatment involves, ask about side effects of treatment and the impact it will have on the dog’s quality of life, ask what impact no treatment will have on the dog’s quality of life, ask about the likely survival benefit. (That is, will the dog live longer with the treatment or has it just been shown to slow the growth of the tumor?) The oncologist will likely say that all dogs are different and results vary. This is true and valid, but press them to try and speculate on how much longer on average a dog like yours (similar age, health extent of disease) may live with treatment. You are trying to gauge the benefit chemotherapy will provide. You may not get an answer, because the healthcare provider may truly not know, but discussion on the issue may give you more information on which to base your decision. Don’t forget to ask about the cost. This is substantial. If you’re told you’ll have to spend $50,000 to extend your dog’s life one day you’ll probably think long and hard about whether to pursue treatment. (This is an exaggeration to make a point). If treatment offers no chance for cure think about whether you want to spend time with your dog or spend it bringing him or her to get IVs. Do not be afraid to ask your caregiver for copies of background articles, data, clinical studies or abstracts (a summary of preliminary findings of a research trial typically presented at a medical conference, usually one paragraph long) that provide a rationale for the recommended treatment. This may or may not be available. Ask for a copy of the diagnosis/biopsy report. This information may be difficult to understand. Ask them to help you interpret it. Get contact information for all who are involved in your dog’s treatment, phone and e-mail. If you have questions call them. Be respectful of their time, think about what you want to ask beforehand, and write down your questions. The definition of advocate implies taking an active role, rather than reacting to others’ inputs. That is a key point. Remember: those providing care for your dog have hundreds of patients, you have one. You do not want to allow mistakes to be made, opportunities to be missed, and delays to occur. You must be tenacious. Do not take no for an answer. Have a plan for what you will do next if you are told no by someone. Go to the top of the pyramid for care. There is a tremendous variation in the skills, talents, and knowledge of veterinarians. It is difficult for a layperson to evaluate these skills. One easy and generally accurate way is to seek treatment from one who has seen the most cases of the disease. Larger specialty centers, and teaching (university) institutions are more likely to offer better care. Nationally and regionally known are better than locally. Be realistic though, it may not be necessary or feasible to travel from Alaska to Pennsylvania for treatment. Check the Internet to look at who is doing research in the disease area, ask your veterinarian, and/or other trusted sources for a referral. This site offers a list of veterinary oncologists: http://perseusfoundation.org/page22.html. Seek a second opinion. This is a good general rule and is especially true with oncology. You may find it useful to go to a larger center for your second opinion and get your day to day care from one that is more conveniently located. It you are seeking treatment be aggressive. Only you can decide, with your caregiver, whether treatment is warranted. If you do decide to proceed, be aggressive, don’t delay. Ask for the first available appointment and start treatment right away. This offers the greatest chance for success. You cannot make up for lost time if you start treatments late. Delaying initiating therapy and starting late in the game is likely to be a waste of time and money. Be prepared going into your meetings with your caregivers. Do your homework and reading in advance. Bring your tape recorder. Bring your binder to refer to and make copies of pages you may want to leave with your provider. Write down you questions so you make sure to cover them. Don’t let yourself be intimidated, but remain respectful. Don’t allow yourself to be steamrolled if something doesn’t seem right to you. Don’t automatically defer, or say “whatever you think is best.” Your goal is to be an informed decision maker in partnership with your healthcare provider. However, you should not be too belligerent either. You cannot possibly teach yourself everything there is to know and no amount of preparation and homework can substitute for medical school. You also want your caregiver to remember you and think of you favorably. You are trying to convince them to go to the limit for your dog. You have an advantage here. Flat Coats are naturally memorable and lovable. Do not assume your caregiver knows everything. 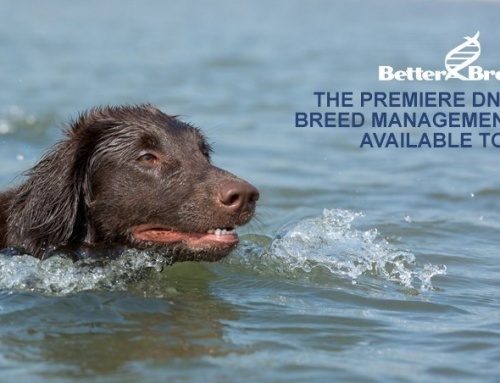 Some of the diseases that are relatively common in Flat-coated retrievers are rare among dogs in general. It is also not unlikely that your homework and background searches will uncover information that is new and unknown to the caregiver. You may find information they do not know. Make a copy of things you find of interest and share it with your healthcare provider. You may be educating them about a better treatment option. Follow up. Don’t wait for the phone to ring. This is extremely important. Time is not your friend. You should routinely ask when results will be available, when you will be contacted. When that time period passes, don’t wait, call. Try to be realistic about your expectations and outcomes. However, you should also be optimistic and view you and your dog as the ones who will get the favorable result. Remember, statistics on outcomes are often based on prior information. This may be somewhat dated if treatments have improved since the data were gathered. Statistics are also based on averages. You will do better because you are seeking care from the top of the pyramid and are acting as an advocate for your dog. Spend time with your dog while you can. Give them the best quality of life you can for as long as it makes sense to do so. Keeping the dog engaged cannot hurt. Our dogs love to retrieve. Letting them retrieve pigeons in the yard, even if the retrieve is only a few yards, is a way to keep them occupied and happy. Do not neglect the palliative component of treatment. Palliative means treating the symptoms without curing the disease. Some caregivers are more focused on the treatment than the patient. 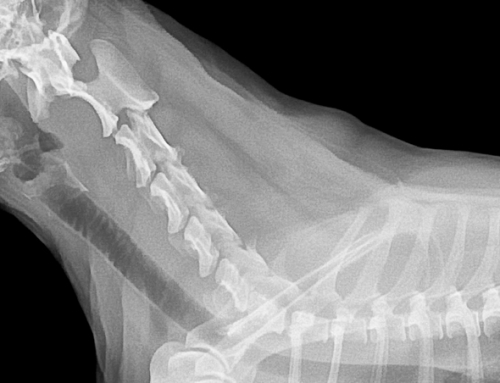 Veterinarians are paying more attention to pain management. If you feel this need is not being met in your case, bring it up. You should ask about ways to keep the dog comfortable and stimulate their appetite. One example is the use of prednisone when the end is obviously near. This increases appetite, makes the dog feel better, drink more and need to go out more. Dogs with advanced cancer stop eating, so you will need to be more creative and give them whatever they will eat. One possibility is boiled hamburger and rice with the rice cooked in the meat water. Another is chicken soup, made with chicken cooked in a pressure cooker and then put in a blender, bones and all. Liver brownies, baby food, Slim Fast shakes are all other possibilities. Try to use the dog’s best interest as a guide for decision making. Think about their quality of life and know when to say no to treatment without feeling guilty. Know when to say goodbye as well. 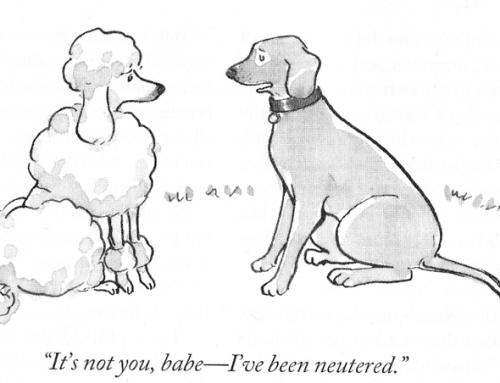 Veterinarians will offer a variety of options. Heroic measures don’t always make sense and aren’t always in the dogs best interest. Don’t let yourself get caught up in escalating commitment (maintaining a course of action that is not going well by dedicating more and more resources to set things right). When treatment options start winding down, it's not about cutting edge treatments or hanging on to the bitter end, it's about a relationship between you & your dog. Treasure your time together but have enough compassion for your dog to know when to let go and do the right thing. Consider giving back to the breed as a tribute and a thank you for all the love and joy your dog has given to you. One way your dog can live on is to participate in research that will benefit the breed and help develop more effective ways of diagnosing and treating cancer. This can be done by providing blood and tissue samples for cancer research. 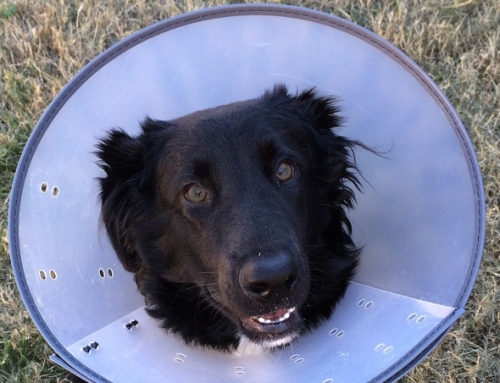 The Flat-Coated Retriever society is very active in cancer research and has several studies beginning in early 2004 that need tissue samples from dogs that have succumbed to cancer. While it may be emotionally difficult to plan this in advance, it is critical to make these arrangements beforehand. Please consider this and call or e-mail the cancer committee contact Colleen DeVore at: highspiritsfcr@comcast.net for more details.